“The UCI really caters to a very small population,” says Egger, “but there’s so many other people out there who couldn’t care less about the UCI. They don’t follow the racing and they don’t even know all the limitations that are put on bikes for the UCI riders. So, my feeling was let’s design a bike for someone who really just wants to go fast on a road bike. So what has he done with the UCI rulebook after hurling it at the bin? Well it’s actually an e-bike; there’s a motor concealed in the bottom bracket shell. That should help turn over the huge rear wheel, which at 33.3in is bigger than the front wheel and is meant to act as a flywheel. Yes, he’s even thrown the conventional wheelsize out the window. “I didn’t look at every UCI limitation per se,” he says. “I just started with the fact that I’m not going to be limited by wheel size, I’m not going to be limited by tubing diameter or tubing shape, I’m not going to be limited by aerodynamic advantage, and I’m not going to be limited by, you know, not being able to have a cargo area where I can carry stuff. So really, there were no rules," he adds. The fUCI also uses smartphone integration. 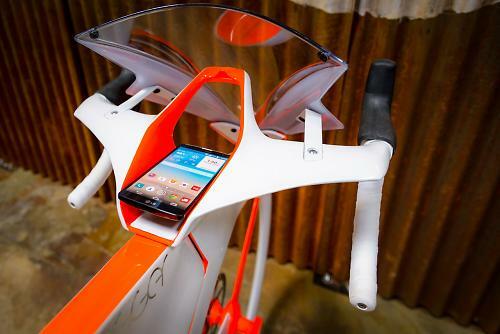 That’s not such a vision of the future you might expect it to be - some companies are getting close to launching bikes with such cleverness, most notably Canyon with its connected bike. The motorbike style fairing front-end houses a docking station for a smartphone which can do some smart stuff like monitor tyre pressure, show warnings of approaching cars, set the lights to automatically switch on - yes of course the fUCI has front and rear lights built into the frame. It even has brake lights. 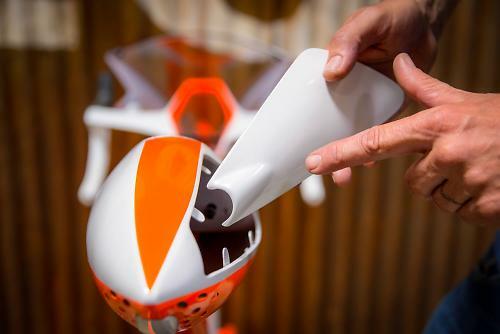 As well as the moto-style front fairing and windscreen, the whole bike is wrapped up with aerodynamic fairings that should help it slip through the air more cleanly, as well as cutting straight through the UCI rulebook. It’s clear Robert Egger has taken a lot of inspiration from motorbikes when penning the design for this bicycle. 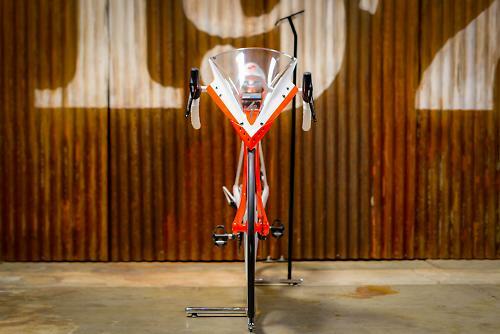 It looks more like a motorbike than a conventional bicycle. The fUCI even has a rear storage compartment. Specialized has created a dedicated website “Very Special things” which it calls “a home for passion projects created by the people of Specialized” and you can read a lot more about this bike there. 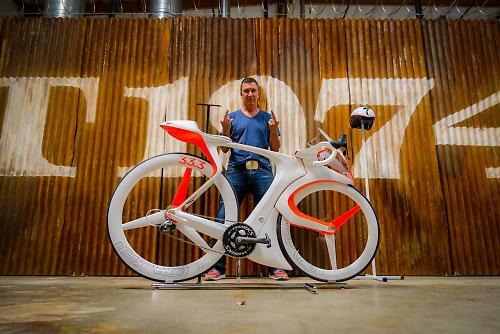 Might we expect more silliness from Specialized in the future? This is one bike I'd love to swing a leg over. I wonder how it rides? So what do you think? A vision of the future or just plain mad?